A day’s deer stalking rarely works out quite the way you expected. But that is much of the charm of it. Having been south, we got the sleeper north last Thursday night, so we could stalk on Friday and Saturday. The Caledonian Sleeper always feels like a time-warp, a little piece of the 1960s in the twenty first century but it remains a convenient way to get north overnight and I am pleased to say that even on a Thursday in late September it seemed full. So we arrived in Inverness at 8.30am, were home an hour later and ready to go on the hill by 10.30. We took the Land Rover to one of our favourite spying spots to see what was around. It was warm, but not that clear. There were a few deer around, but not as many as we had expected. The warmer weather seemed to have put the rut on hold! 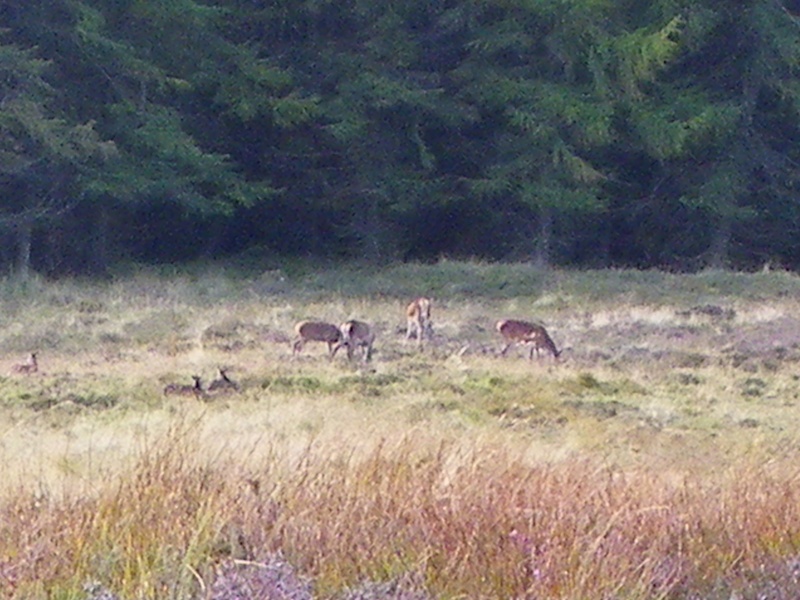 After a bit we spotted a large group of hinds in Lubachoinnich Woods. We couldn’t see a stag with them but it seemed inconceivable that there wouldn’t be. We had seen a large, mature stag with this same group of hinds a week earlier but had then found that same stag injured and exhausted on ‘the greens’ (our low ground grazing by the river), having clearly lost a fight with a larger rival. So we set off in the direction of the hinds to take a closer look. Sure enough as we got nearer we saw a large 9-point stag was running them hard in the trees. But it was tough to get close because there were so many eyes on the lookout and he was steadily moving the hinds away from us. So we spent the next couple of hours waiting, crawling in a bit and waiting to see if we could within shooting distance. Eventually the deer went over a ridge giving us a chance to approach unobserved. But when we had a better look it was clear that the stag had just walked off, abandoning 50+ hinds. This is not normal behaviour rut and I can only think that the much warmer weather is dampening everyone’s enthusiasm. 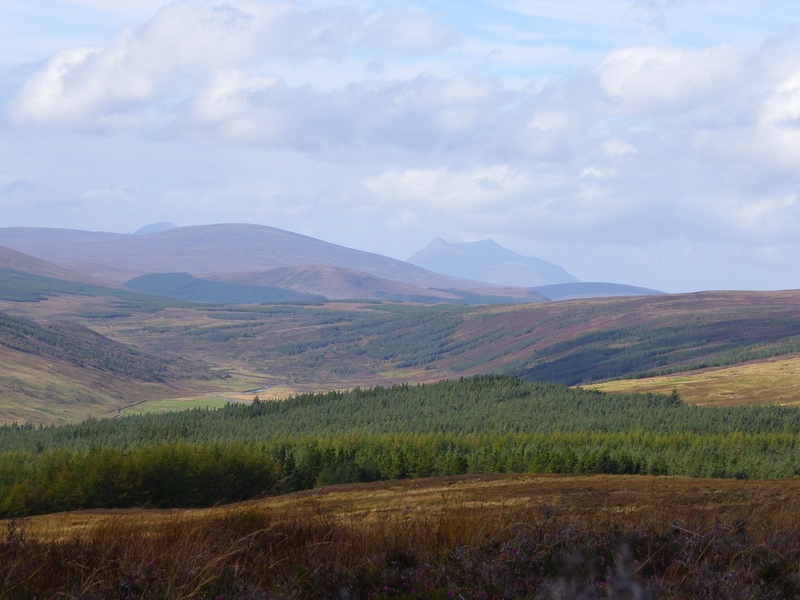 Certainly when we went back in the evening, there was more activity, more deer and more stags holding hinds. We were able quite quickly to get to within 200 yards of a mature, cullable stag who was working some hinds hard. I shot him, heard the loud smack of a shot into the ‘engine room’, and he went down. Then he got up again, ran round and then settled at the river bank. After a few minutes minutes Ali went forward to finish him off while I went to get the vehicle and Argo, despondent that I had obviously not killed the deer cleanly. But when we got the body back to the larder we could see that the shot had indeed gone right into the engine room, expanded as designed, passed just over the heart but caused significant internal damage. It must have been the massive quantities of testosterone and adrenalin pumping through him as was running the hinds which had caused him to survive, if only for a few minutes, what would be in 999 cases out of a 1,000 a clean, killing shot. The next day was even warmer and we had a similarly frustrating day until Carol was able to get into a group of mature stags without hinds in the early evening. Let’s hope we get some frost soon to bring the rut back into full swing. 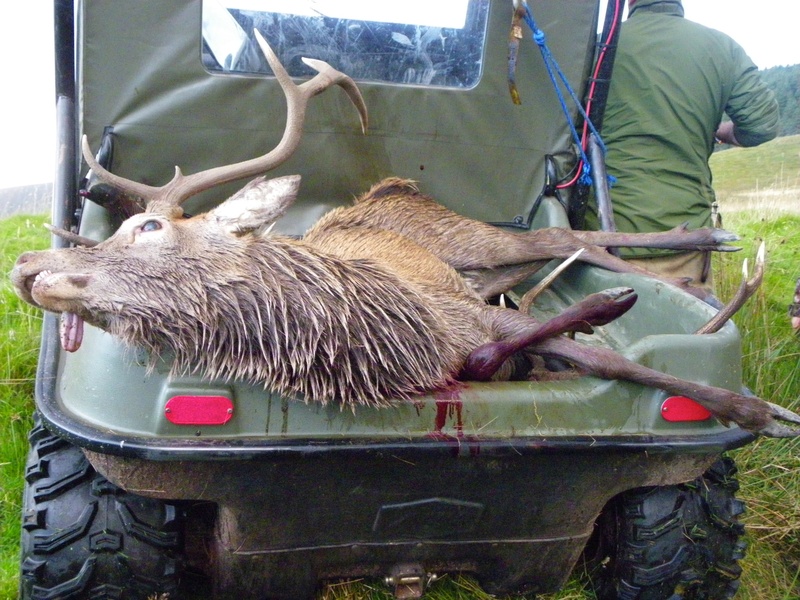 This entry was posted in Uncategorized and tagged Deer, Deer stalking, field sports, shooting. Bookmark the permalink.